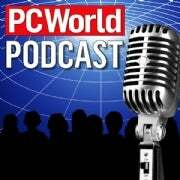 The PC World Podcast is back again for your listening enjoyment with Episode 21! This week, PC World Editors Robert Strohmeyer, Ginny Mies and Nick Mediati, along with Senior Writer Darren Gladstone, gather to discuss the latest on Apple’s iPhone 3.0, Internet Explorer 8, and Dell’s new Adamo laptop. Ginny dishes on some of Apple’s highly anticipated announcements regarding the iPhone 3.0. Which of the key wish list items finally made it to production? Also, find out what features will we still be missing upon the software’s June release. Nick shares his expertise on Internet Explorer 8. The updates may not be huge, but there are some helpful new features that justify the upgrade. Listen in and find out what they are! Lastly, Darren tells us his thoughts on the Dell Adamo, Macbook Air’s biggest competition. Sure, it has a slick design and an ergonomic keyboard—but does it have what it takes to sport a $2000 price tag in this rough economy? Darren also gives us some insight on a dating site that’s geared specifically for nerds. Here’s proof that it’s legit: Battlestar Galactica star Richard Hatch created it.